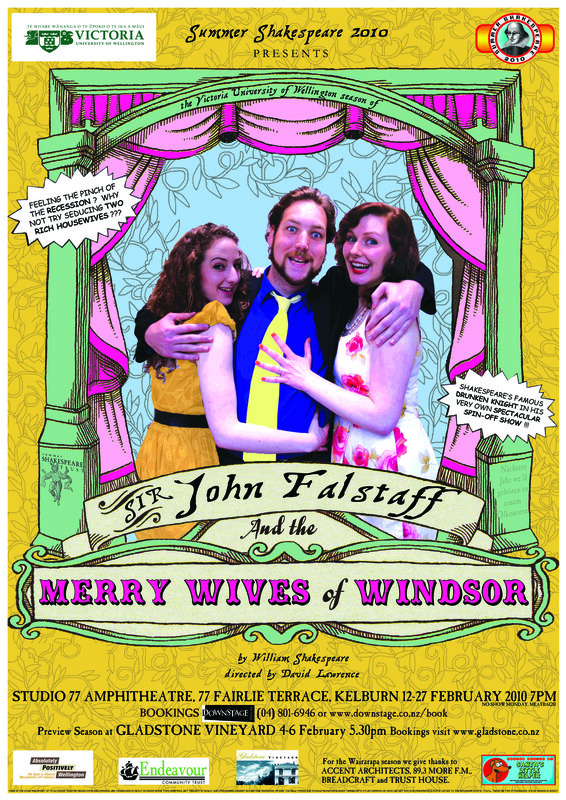 Wellington’s favourite summer theatre event returns in its 27th year with a rare chance to see one of the weirdest, funniest, and most obscure of the Bard’s comedies, Sir John Falstaff and the Merry Wives of Windsor. 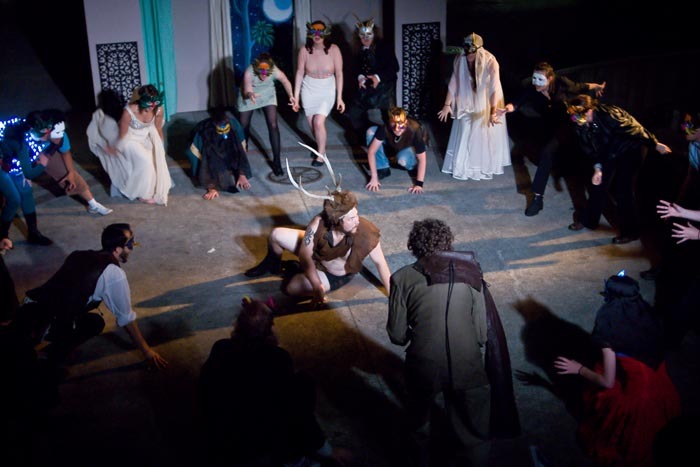 It’s nearly 50 years since there was last a proper production in Wellington of the play rumoured to have been commissioned by Queen Elizabeth the First herself – so popular was Shakespeare’s famous drunken knight in his day that the Queen, or so the story goes, asked Will to write a spin-off play that showed Falstaff in love. Feeling the pinch of the recession, poor Falstaff is reduced to living in a Windsor hotel and downsizing his entourage. It’s the wedding day of Mr and Mrs Ford, and fast-approaching the day that Mr and Mrs Page’s daughter Anne inherits her grandfather’s substantial fortune. While several prospective husbands hope to marry Anne, Falstaff hits on a new money-making venture: he decides to woo both Mrs Page and Mrs Ford at the same time, intending to steal their husbands’ wealth and restore himself to glory. But when both Mrs Page and Mrs Ford get wind of his plans, he becomes their unwilling prank-monkey in a series of increasingly bizarre attempts at seducing them right under the nose of Mrs Ford’s insanely jealous husband. 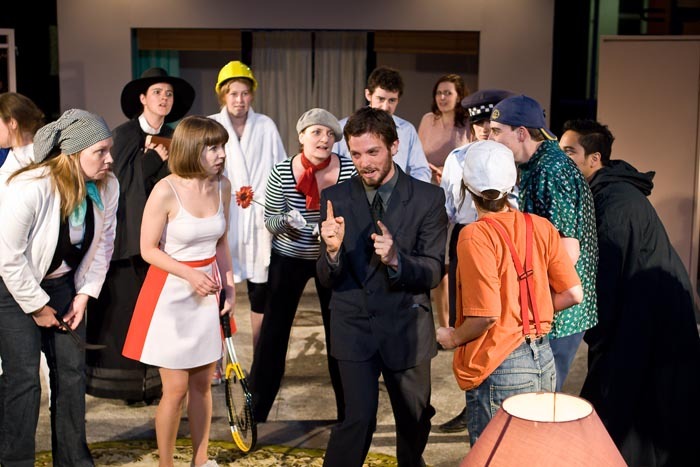 The Merry Wives of Windsor is one of Shakespeare’s most ridiculous and accessible comedies – it’s kind-of a cross between Fawlty Towers, Black Books, Blackadder and your average episode of The Simpsons, only everyone speaks Elizabethan English and at the end a comic Frenchman accidentally marries a boy.